A Tablespoon Of Life: 1 Tablespoon Of : Tuesday Morning. 1 Tablespoon Of : Tuesday Morning. 2 Tablespoons Of : Polka Dots and Pretty Bows. 1 Tablespoon Of : Tripod Fail. 1 Tablespoon Of : Wed-nes-day. 1 Tablespoon Of : TWOOS-DAY! 2 Tablespoons Of : Mixing Prints. Is It A Crime? 1 Tablespoon Of : It's Sunday Night! 1 Tablespoon Of : Hey, Monday!! Tuesday consisted of waking up way too early, procrastinating on getting ready for work, a super quick mini photo shoot, getting lost on the way to an important appointment, accidentally driving on the highest freeway in Houston, getting super EXCITED about my future school plans, helping 8 babies learn how to crawl and take first steps, eating chicken fried rice, witnessing my little sister's crazy cool karate moves, and now finally adding a new post while craving a nice cold soda. 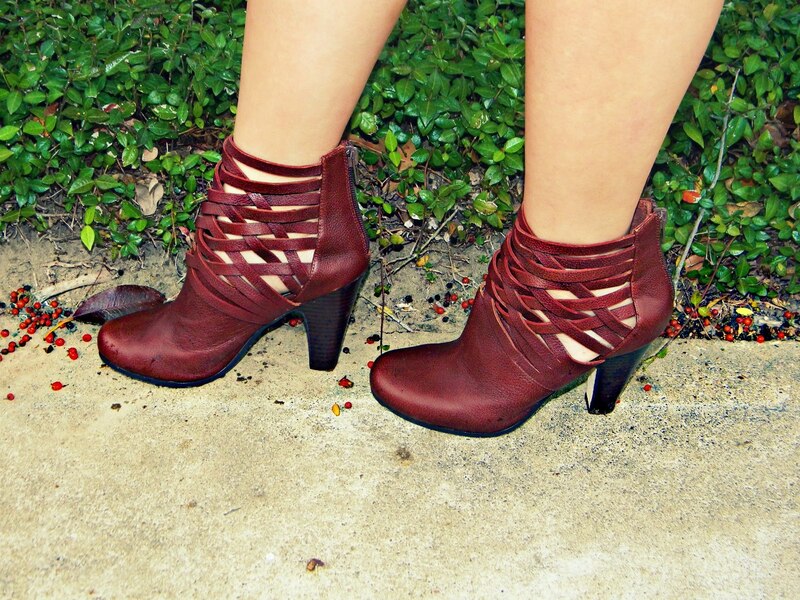 such an amazing outfit, haha your day sounds crazy LOVING YOU BOOTIES!!!!!!!!!!!!!!!!!!!!!!!!!!!!!!!!!!! thank you so much for your message :)nd have a great day yourself! 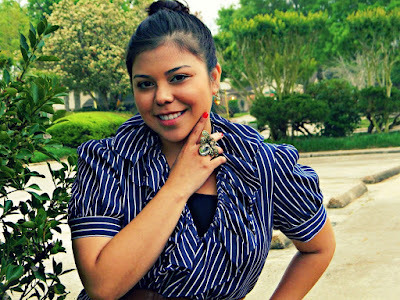 Hi, I'm Leslie's Blog Your Way Style. Blogging and found your blog and made me a follower! I invite you anytime you pass by my blog! 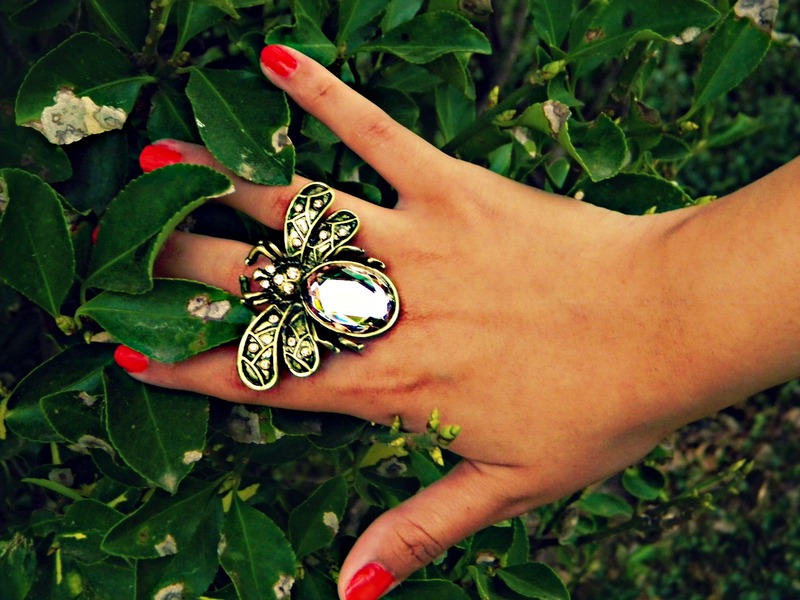 that ring is fabulous! i am a big fan of oversized rings! 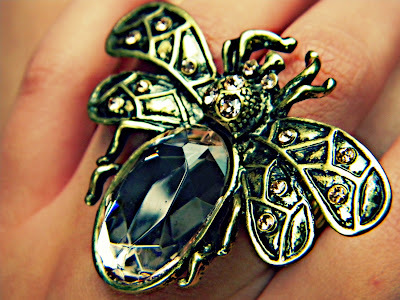 I love the ring, especially because Im obsessed with butterflies!! I love your blog! I love that outfit! the shoes and ring are my favorite! such a darling blog! love the jacket, love the shoes, LOVE the ring! Hi! 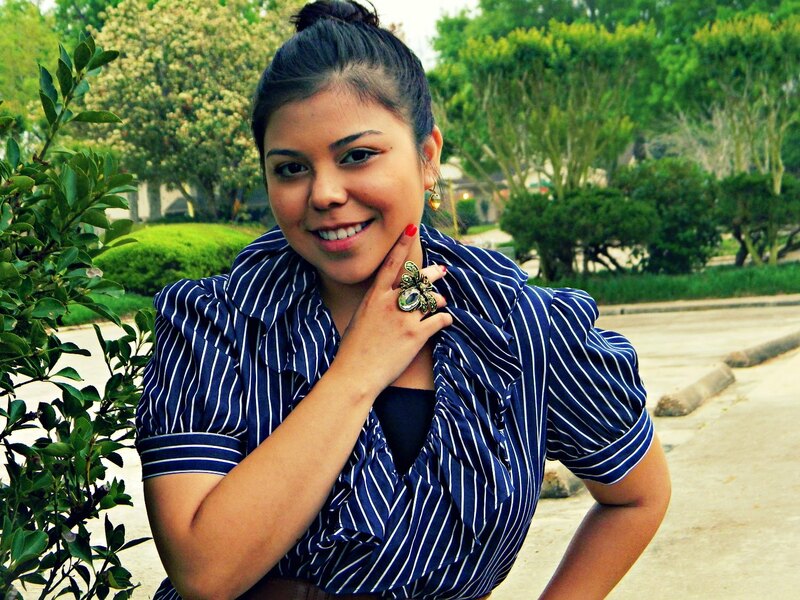 I followed you yesterday with my fashion blog "DreamOnMode". Now this is my music blog account. I follow you with this account too, please follow back! Love that ring and the shoes are adorable. I love that ring and those boots! I'm into fashion but I have no sense of style:) You love good food I see, there's plenty of it on my blog:) Following you from Trapani, Sicily. By the way, I love Hugh Grant too, I noticed him over there, on the left! Love your kicks and that bug ring is adorable! I could totally see that working with every ensemble all through spring! Super chic look hun, thanks for sharing! Your boots! I want! I still havent driven in the freeway---well i did once it it was only for a couple of miles (around cypress). You brave one!